Galyn Wiemers in the gutter under the road that led to the Pool of Siloam. the Pool of Siloam on the south end of the City of David. narrow and wide runs. In this photo the first step is a narrow run while the second step is wider. 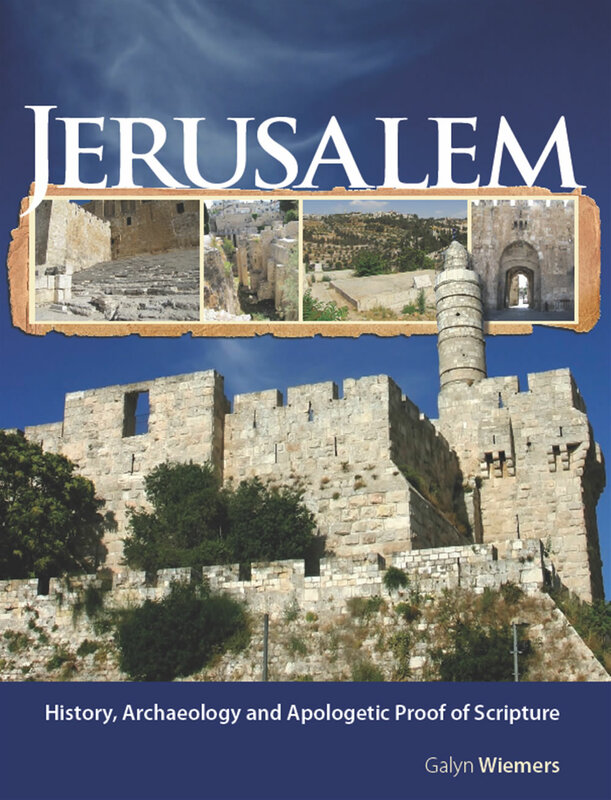 This created a slow, steady procession as people ascended from the Pool of Siloam to the Temple Mount. 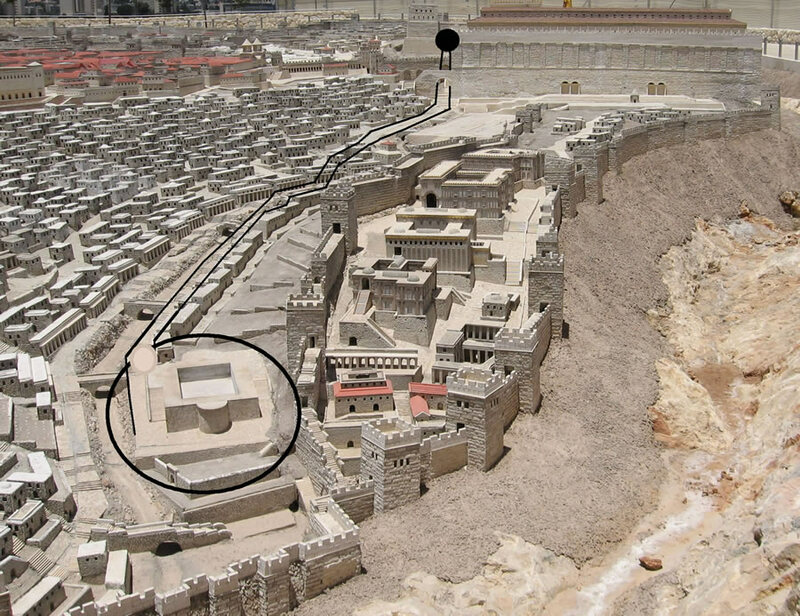 In this photo the excavation turns toward the left and then follows a section of this wide street up through the City of David. of the street which is being excavated now. Watch this video as Galyn walks through the gutter under this Siloam Road. The recently excavated stepped stone street that leads from the Pool of Siloam up to the Temple Mount. The continuation of the street can be seen in the opening further up on the left side of the street. 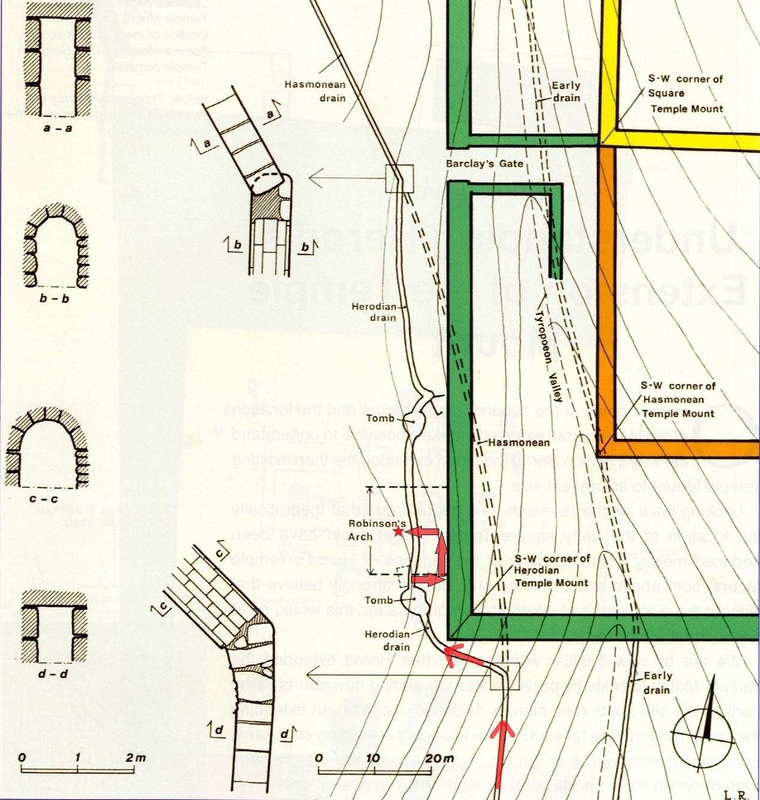 The Temple Mount is 1600 feet (a little more than a quarter mile) up these stairs to the north, but the excavation does not continue all the way to the Temple Mount. The stepped stone street is much wider than this, but this narrow portion was excavated and accessible inJune of 2010. Only about 6 feet of the 25 foot wide steps/street is visible. Looking down the stepped stone street that leads to the Pool of Siloam. Only 6 feet of the 25-foot-wide street has been excavated so far. 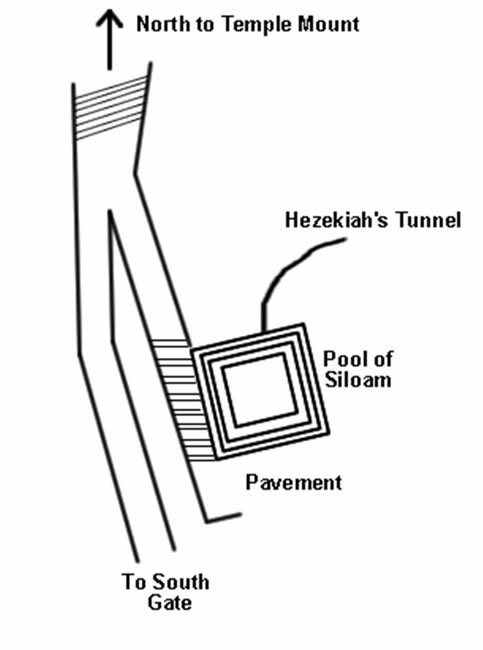 Pool of Siloam. Notice that it has been completely excavated, since both sides reveal a wall made of blocks that support the stone paved street above. The east wall of the gutter and a view of the tunnel ahead. The walls of the gutter under the street here, and all the way up to where this street and gutter run along the Western Wall, are constructed out of block as seen in this photo. found these tunnels crowded with Jews who they then slaughtered. thinking he might be able to astonish and elude the Romans, put on a white frock, and buttoned upon him a purple cloak, and appeared out of the ground in the place where the temple had formerly been. who he was. Now Simon would not tell them, but bid them call for their captain; and when they ran to call him, Terentius Rufus who was left to command the army there, came to Simon, and learned of him the whole truth, and kept him in bonds, and let Caesar know that he was taken. Thus did God bring this man to be punished for what bitter and savage tyranny he had exercised against his countrymen by those who were his worst enemies . . . This rise of his out of the ground did also occasion the discovery of a great number of others of the seditious at that time, who had hidden themselves under ground.